Bicycle accidents often result in death or catastrophic injury for the bike rider because the bike provides little protection from the impact of a vehicle. Any cyclist should always wear some level protection, including a helmet. Parents should be ever vigilant to ensure that all children are adequately protected when riding a bike and that precautionary measures have been taken to prevent injuries. If you or a loved one has been injured or killed in a bicycle accident, you may have a legal claim if the accident was not your fault. An experienced Alabama bicycle accident attorney at Hollis Wright can evaluate your case and determine if someone was responsible for causing your bicycle accident. If a driver of a motor vehicle was to blame, you have a legal right to pursue a claim against them for your injuries. You can obtain compensation for medical costs, lost income/wages, pain and suffering, emotional distress, disfigurement, permanent impairment and other economic and non-economic damages. Bicycles are a popular method of transportation in not only Birmingham, but throughout the State of Alabama, Many riders choose to ride a bicycle in order to avoid traffic, enjoy the weather, or exercise. Unfortunately, because Alabama contains several urban areas, the likelihood of being involved in a bicycle accident is far greater. In fact, the National Highway Traffic Safety Administration (NHTSA) indicates that 72 percent of fatal bike accidents in one year happened in urban centers, as opposed to just 28 percent of crashes in rural areas. While cyclists are sometimes to blame for causing crashes, in many cases, the driver of the vehicle is at fault. Drivers often do not give cyclists the respect they deserve on the road and do not understand how to safely share the road with a bike rider. Automobile drivers often become impatient and/or irritated by the cyclist and attempt to overtake the cyclist. Some drivers out of frustration even engage in aggressive driving behavior that causes an accident. When a bicycle accident occurs, the bicycle rider may suffer many different types of injuries due to the impact of the crash. Injuries are often made worse, because it is common for the bicycle rider to be thrown from the bicycle. Injuries stemming from a bicycle accident can include significant orthopedic injuries and result in devastating road rash and disfigurement. In the event that proper head gear or helmets are not used, then the rider can sustain significant head trauma and brain injuries. Injured victims should be fully compensated for past and future costs arising from a crash that was the fault of an automobile driver. If the bicycle accident results in death, then surviving family members can pursue wrongful death damages. Compensation can be obtained from the at-fault driver’s automobile insurance company by filing a claim with the insurance company or pursuing a personal injury lawsuit. If you have been hurt in a bicycle accident that was not your fault, contact the Birmingham, Alabama accident attorneys of Hollis, Wright, Clay & Vail, P.C. 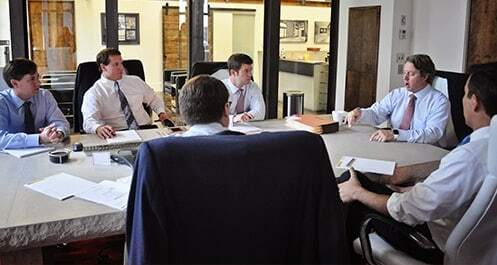 to discuss your personal injury situation. The driver responsible for causing your crash should be held accountable and be required to compensate you for the injuries you sustained. Unfortunately, the insurance companies representing drivers often try to deny, delay and defend legitimate claims or cases in hopes that the injured victim will simply get tired of the legal process and give up. The Birmingham accident attorneys at Hollis Wright are here to make this process easier, faster and less stressful on you. Being represented by an experienced Alabama bicycle accident lawyer is essential to getting a fair outcome from the insurance company. At Hollis Wright, our attorneys will advocate for you, gather evidence to build your case, thoroughly prepare your case, represent you in court, negotiate with the insurer and otherwise fight for your right to compensation after your accident. If you or a loved one has been injured or killed in a bicycle accident, please contact the Birmingham bicycle accident attorneys at Hollis Wright for a free and confidential case review and consultation. Don’t let the insurance companies take advantage of you. Call us toll free at 844-529-8255.